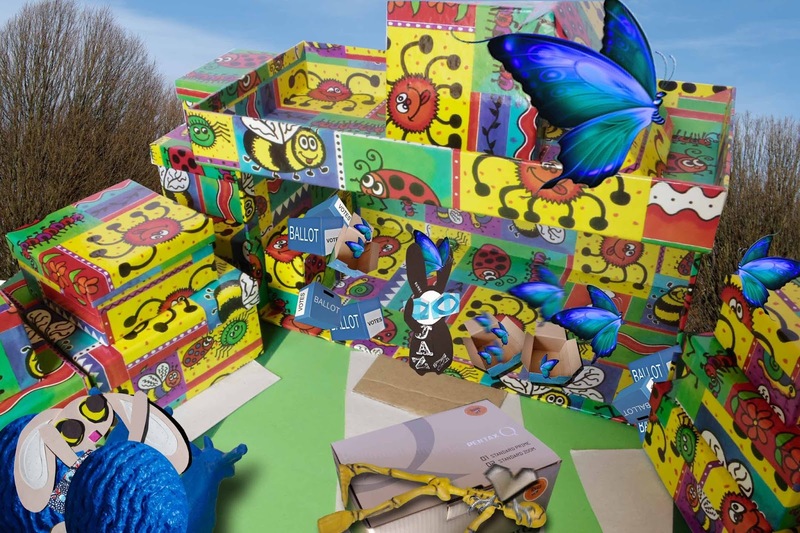 The Wabbit scattered the ballot boxes and they burst open. For an instant he was lost in the beating of gossamer-thin wings - but it was only for the smallest fraction of time and space. Butterflies poured from the ballot boxes, surrounded him and soared into the sky. The Wabbit's eyes glistened. He raised a paw and murmured something as he waved to the butterflies. "Stay with me, do not take thy flight." Lapinette could just hear his words and completed the verse. "A little longer stay in sight." The MoTo Snails let out a cheer that could be heard for miles. Even the Fake Vote briefly abandoned savaging his captive to watch the astonishing display. 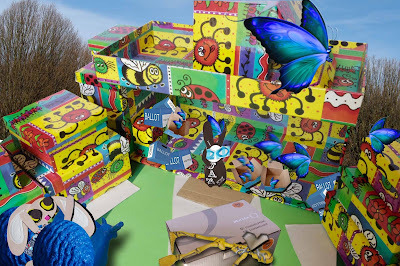 One of the butterflies settled between the Wabbit's ears and its grip was just as sharp as the Fake Vote's talons. "Thank you, Commander. "We're in your debt." The Wabbit shook his head. " No, it is I who is indebted to you." "Call it mutual?" suggested the Butterfly. The Wabbit nodded and gestured towards the Fake Vote. "What about him?" The Butterfly made a strange shrugging motion with its wings. "I've never seen him before. Is he with you?" The Wabbit shook his head but suddenly changed his mind and shook it the other way. He stared at the Spieler, who's skeleton frame was rather the worse for wear. Then he stared at the Fake Vote. "I suppose," frowned the Wabbit, "that he must be."